Care2 Healthy Living | Do Eggs Really Damage Your Heart Health? Let’s face it: the controversy around eggs and whether they damage the health of the cardiovascular system has been around for years. On one side people claim that their relatively high amount of cholesterol pushes our own cholesterol levels off the charts and that cholesterol can seriously harm one’s health. On the other side, people say that the cholesterol we eat doesn’t affect our cholesterol levels or that we shouldn’t concern ourselves with cholesterol because it is harmless. What’s a person to believe? Sorting out the answer to that question could have widespread public health implications when you consider that the average American eats 280 eggs per year, which works out to nearly 5-1/2 eggs per week. To say that is a lot of eggs would definitely be an understatement. New research may be just what we need to determine which side of the argument is correct. According to a new large-scale study published in the Journal of the American Medical Association, which reviewed the eating habits and heart health implications of 29,615 adults, researchers found eating eggs definitely has an impact on heart health and the risk of death from heart disease. According to the scientists, eating 3 or more eggs weekly significantly increases the risk of heart disease and early death. Eating 2 eggs daily was enough to increase the risk of heart disease by a whopping 27 percent and also increased the risk of death from any cause. Considering that forms the average breakfast for many people across North America and around the world, that’s a disturbing finding with massive potential public health consequences. Of course, the controversy persists. And, experts on both side of the table continue to debate the study findings, particularly in light of conflicting earlier studies. But, the side of this study helps to put some of the argument behind us. It’s hard to argue with these results. And, as for the cholesterol argument and whether it is actually bad for us: well, there’s no end to the debate there either. The reality is that your body needs cholesterol from which to make hormones, manufacture vitamin D, provide structure to cellular walls and repair damage to the blood vessels; however, it doesn’t need the high levels many people are currently facing. High levels of cholesterol have been linked to heart disease but in more recent research have also been linked to other serious illness, including Alzheimer’s and cancer. Excess cholesterol can clog arteries by causing them to become narrow and restricting blood flow through them, making us vulnerable to heart disease. Of course, there are many other factors involved with heart disease. Recent research published in the medical journal Nature Chemistry found that cholesterol also plays a causative role in Alzheimer’s. The scientists found that excessive cholesterol can act as a catalyst for causing beta-amyloid plaques to form in the brain—a key causal factor in Alzheimer’s disease. When beta-amyloid plaques build up they impede healthy brain functioning and even kill healthy brain cells. Excessively high levels of cholesterol have also been linked to cancer. According to a study published in the medical journal Cell Stem Cell, researchers found that dietary cholesterol was linked to an increase in the proliferation of some intestinal cells (stem cells) that resulted in a significantly increased risk of the formation of tumors in the intestines. Their results suggest that dietary cholesterol is not the harmless stuff most of us have been recently taught to believe, and indeed, which many internet sites continue to claim. But, perhaps most shocking was the fact that animal subjects eating a high fat (and high cholesterol) diet had a whopping 100-fold increase in tumor formation. 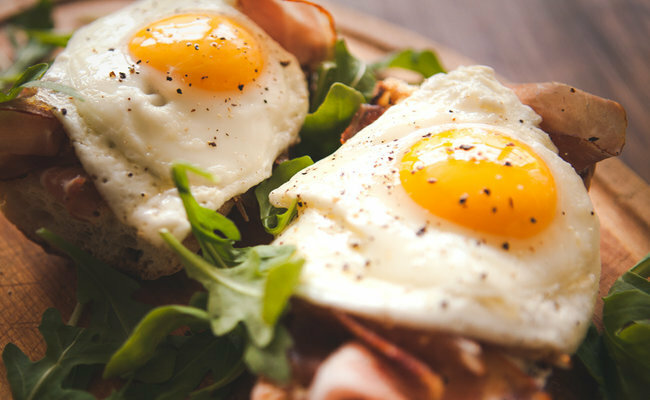 While egg-lovers may try to hold on to their favorite breakfast foods at any cost, it seems that the jury is in on eggs and their link to heart disease. Ah! the pros & cons of everything we eat.